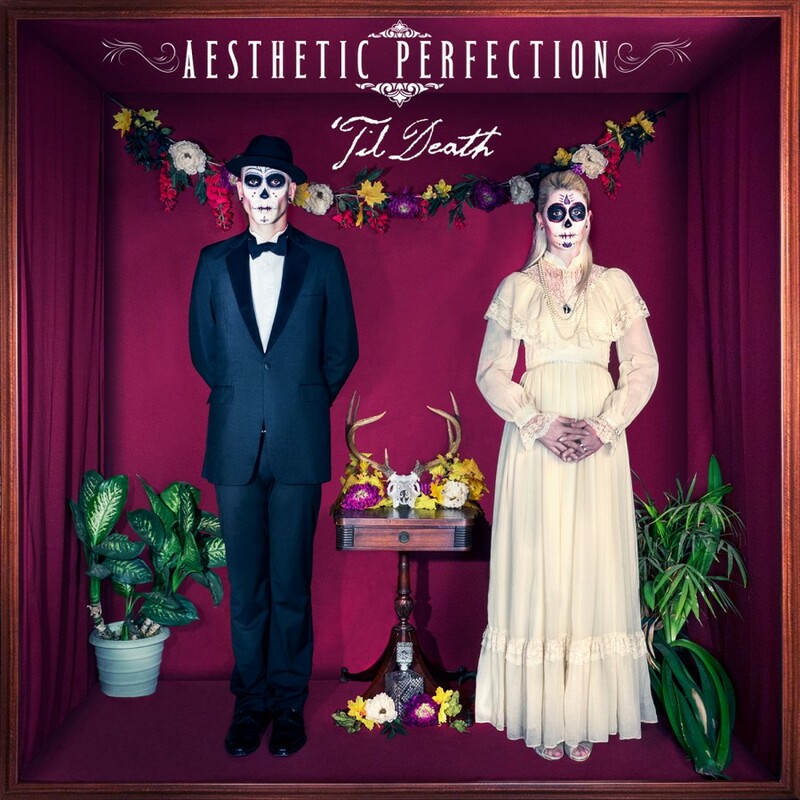 After a year without a US tour, fans of Electro-Alternative group Aesthetic Perfection are in a frenzy at the lingering news of a North American Tour. Beginning in late May, those fans will get what theyve asked for, as the Daniel Graves fronted outfit is set to hit the road in support of their new album, Til Death, which is slated for release on February 11, 2014 on Metropolis Records. Following a 19 city, European tour, Aesthetic Perfection will return to their hometown of Los Angeles, launching a cross-country journey that stretches to both coasts and across much of the Midwest. After an entire year without a US tour, we're excited to bring our vodka filled debauchery back home with our friends Panic Lift and Surgyn" Grave said of the upcoming tour. Those dates can be found below. Aesthetic Perfection released its debut album Close to Human in 2005, creating a stir in the European underground. With heavy touring and two additional releases under their belt, Aesthetic Perfections place in the EBM/aggrotech world was cemented, making way for the release of Til Death, which was purely internalized without impact from the outside world. I feel like art is something that belongs as much to those who consume it, as it does to those who create it, explains Graves.